The Board of Selectmen will discuss applying for funding from the U.S. Department of Agriculture's Rural Development program toward potentially $4 million worth of upgrades at the aging Norridgewock Wastewater Treatment Facility. NORRIDGEWOCK — The Board of Selectmen is set to discuss potentially $4 million worth of upgrades to the aging Norridgewock Wastewater Treatment Facility. Town Manager Richard LaBelle said the discussion will be a formality during a regular meeting at 6 p.m. Wednesday and board members will be discussing applying for federal assistance from the U.S. Department of Agriculture’s Rural Development program. Last January, the Norridgewock Sewer Department was found to be in violation of Department of Environmental Protection regulations. LaBelle said while the violation was minor, it raised red flags. “As part of the correction, we conducted a plant study,” LaBelle said. The town then solicited bids in search of a long-term plan for maintenance and repairs. A more expansive study of the facility still needs to be done, but the chairman needs to sign paperwork to keep open the possibility of receiving partial or full USDA funding. After that, the town would hold a public hearing at the Jan. 4 Board of Selectmen meeting to get feedback, though LaBelle said that nothing was “locked in.” LaBelle said it was too early to tell what kind or level of funding the town might apply for, as a more detailed study of the facility and the Sewer Department’s finances is still required. “It’s not that this is a commitment to receiving the funding. This is our formal application to see what’s available to us,” LaBelle said. LaBelle said the plant, which was built 23 years ago, and pump stations will need significant upgrades, as most of the technology there is outdated. He said the typical requirement for major upgrades at such a facility arises after 20 to 25 years. “We’ve never done a major upgrade to the facility since it went online in 1993,” LaBelle said. 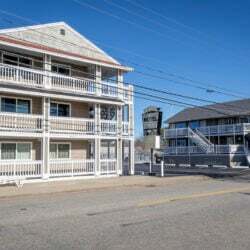 Around the time the violation was cited, the sewer commissioners voted to raise sewer rates by 10 percent to address the department’s ongoing indebtedness to the town, as well as to request bids from engineering firms. The DEP violation was determined after biochemical oxygen demand numbers, which measure water clarity, were found not to be up to standards. The problem was corrected later. The rate was increased from a $30 basic charge and 5 cents per cubic foot of water to a $35 basic charge and 5.5 cents per cubic foot. In addition, flat rates, which are for sewer users who are not connected to town water, increased from $74.60 to $100. The last sewer rate increase occurred in 2012; the previous one, in 1994. 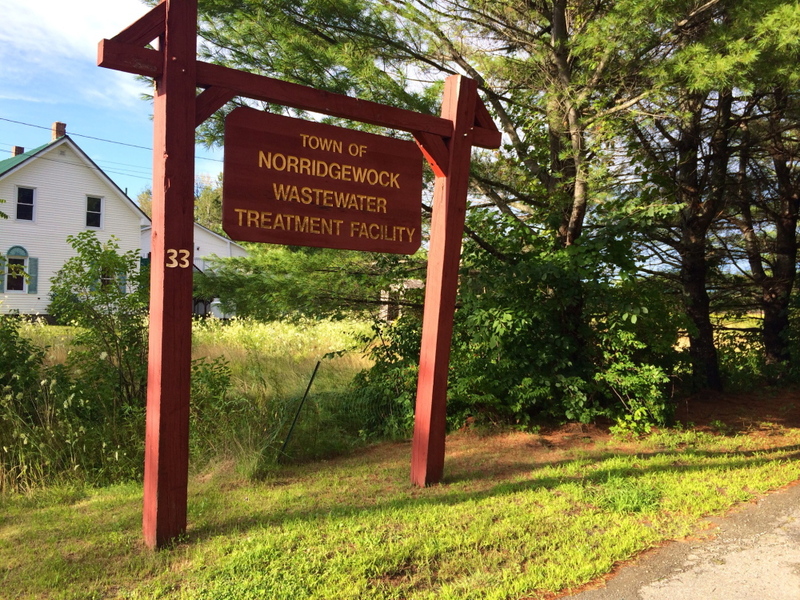 The wastewater plant and the Sewer Department have a somewhat rocky recent history in Norridgewock. Before the DEP violation, former Town Manager Michelle Flewelling had advised the selectmen that the aging pump station had the potential to result in violations of state law, and she advised them they might require legal counsel. In an August 2015 Sewer Commission meeting, commissioners voted to prohibit Flewelling from speaking during the meeting. 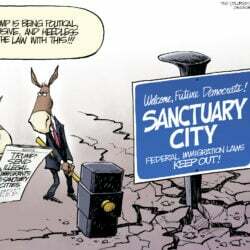 The commission also tried to hold an illegal executive session in September 2015 to discuss a personnel issue, despite the fact the commission doesn’t have the authority to do that. An audio recording of that meeting revealed commissioners openly complaining about Flewelling. The Sewer Department also had an inadequate budget that year. It owed the town $99,808 in 2015. The plant did undergo some recent minor repairs. In September 2015, the selectmen approved spending $7,950 to drain the equipment to replace a valve. Weeks earlier, commissioners had voted to spend $13,708 from the department’s reserve account to fix a broken backup pump. 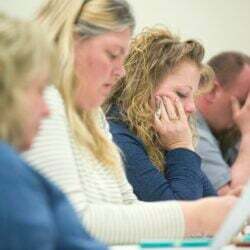 At the time, the board also approved spending up to $10,000 to have sewage treated in Madison, since the town septic tank was full. At the time, LaBelle said there was a public feeling of lack of transparency in the way departments released information to the public. He said by bringing on the engineers and addressing the problem, they have been promoting transparency. “I would think we’ve transcended any of those concerns for potential mistrust,” he said.